I am a big proponent of cryotherapy in my rehab whether dealing with acute or even more chronic inflammation. I routinely use cryotherapy with compression via Game Ready in the clinic for post-op knee surgeries, ankle sprains, rotator cuff pathology, Little League shoulder, labral repairs, etc. 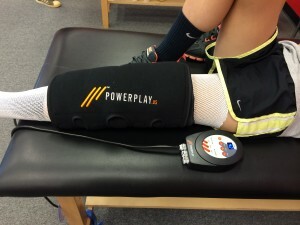 I was recently contacted and asked to review a cryotherapy solution on the market – Power Play. Full disclaimer: I am not affiliated with POWERPLAY in any way nor was I paid to write this review. My intent in writing this review is to share information about the product itself and its efficacy for use in the clinic as well as for the general public. Power Play shipped me the standard kit which includes a carrying case, the cold compression ankle and knee wrap as well as the pump and wall charger. The entire package is easily portable for the ATC on the go, and works well in the clinic because it has three ports on the unit making multiple treatments for patients with various body parts a cinch. The different body part sleeves include gel wraps that attach to the sleeves via velcro along with a stocking to protect the skin from the wrap. POWERPLAY advises placing the wraps in the freezer or refrigerator prior to use. I noticed that if you place them in the freezer and pull them out for immediate use they are stiff and do not conform as well as desired to the body. As such, I would advise taking them out at least 10-15 minutes prior to use. In terms of compression, the default setting on the display reading is 50 mmHg of compression. You can increase compression in 5 mm increments up to 70 mmHg. This is easily done with the touch of a single button. The compressor runs for 20 minutes and then shuts off on its own, so if you desire lass than 20 minutes you would need to set a timer (not a big deal). Overall, the unit is convenient to take on the road and very easy to use. The company states it will run the unit for 8-12 hours on one charge, and I find this to be accurate so far. Patient feedback is that they like the wraps and the level of pressure, and they are comparing it to the traditional GameReady clinic cryotherapy I use with them on a routine basis. The POWERPLAY unit is also definitely cold enough and comparable to all other forms of cryotherapy we have in the clinic. I find the entire package is reasonably priced for the overall quality and portability of the product. I think it would be a worthwhile investment for PT clinics, ATCs on the go and a client looking to have a high quality cryotherapy solution at home while recovering from an injury or surgical procedure. I have long been a fan of cold and compression so I like this product, and I look forward to trying out their shoulder wraps next! 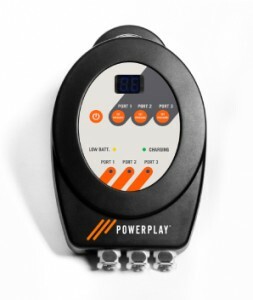 Click here to learn more about POWERPLAY. 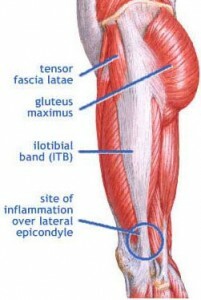 So, a very common issue I see in runners is iliotibial band (ITB) syndrome. In a nutshell, it involves excessive rubbing or friction of the ITB along the greater trochanter or lateral femoral epicondyle. It is more common along the lower leg just above the knee and typically worsens with increasing mileage or stairs. Common signs and symptoms include stinging or nagging lateral knee pain that worsens with continued running. Hills and stairs may further aggravate symptoms. Some runners even note a “locking up” sensation that forces them to stop running altogether. How do I treat this? Is a Stiff Ankle Causing You Hip or Knee Pain? 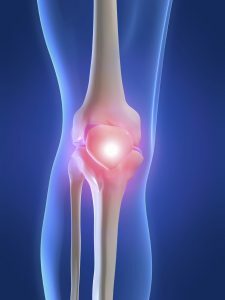 Often, people assume hip and knee pain begin and end in those respective joints. While this can be the case, the truth is the ankle may also have a say in the matter. In my practice, I often see gait deviations, IT band issues, patellofemoral pain and many other issues related to ankle stiffness or soleus issues. In assessing athletes, runners and weekend warriors, I often pick up asymmetries when measuring closed chain ankle dorsiflexion. I have even observed people who have active dorsiflexion within normal limits while seated on a treatment table, but once they become weight bearing things change. Even small differences can dramatically affect the body as the brain will find a way to get the motion it needs to squat, run, lunge, etc. This often involves a compensatory pattern at the knee and/or hip joint. So, to that end, I recommend several strategies to improve mobility. I am currently doing a three part series on this for PFP magazine to provide some effective exercises to improve ankle and soleus mobility. Click here to read the latest column. Below is a sample video of the wall touches I use to improve ankle motion after mobilizing the soft tissue. Typically, I advocate doing 1-2 sets 10-15 repetitions. Using the wall allows clients to have tactile feedback and a target to focus on. 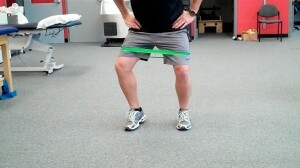 This is a simple, yet effective way to gain motion in a loaded closed chain fashion as the hip, knee and ankle flex together in running, landing, squatting, lunging, etc. If you are curious how I assess side-to-side differences, click here to read my initial column on assessment. I hope these tools enhance your training and/or those you work with.